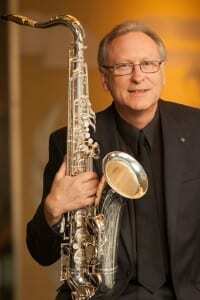 Gregory W. Yasinitsky, Regents Professor of Music and Director of the School of Music at Washington State University, has an international reputation as a composer, arranger and saxophonist. He is a member of the Washington State Music Educators Hall of Fame and a recipient of grants and awards from the National Endowment for the Arts, The Commission Project, Artist Trust and ASCAP. Yasinitsky has performed with Randy Brecker, Sean Jones, Ed Calle, Alex Acuna, Kirk Whalum, Claudio Roditi, Conrad Herwig, Sarah Vaughan, Ella Fitzgerald, Ray Charles, Louis Bellson, Stan Getz, Lionel Hampton, Lou Rawls, Manhattan Transfer, and many others. He has written music especially for David Sanborn, Clark Terry, Dave Liebman and the USAF “Airmen of Note” big band. Yasinitsky has over 185 published musical works performed in over forty countries world-wide. Recent performances include appearances at Carnegie Hall and Jazz at Lincoln center and his compositions and saxophone playing are featured on over forty CD recordings. Yasinitsky is a Yamaha performing artist and JodyJazz Artist. Under Yasinitsky’s leadership, the WSU Jazz Studies Program has received widespread recognition including awards from Down Beat magazine, invitations to perform at prestigious conferences and top awards at major jazz festivals.